Keeping your commercial property safe for residents, employees, and visitors during the winter months requires careful planning long before cold weather arrives. 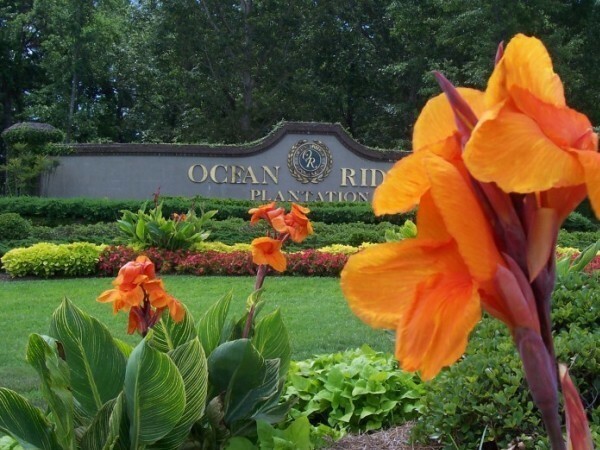 Consistent maintenance, property repairs, and seasonal improvements will ensure the safest environment for your patrons throughout the harsh elements of the season. We’ve compiled our top 5 winter safety tips to get you off to a solid start. 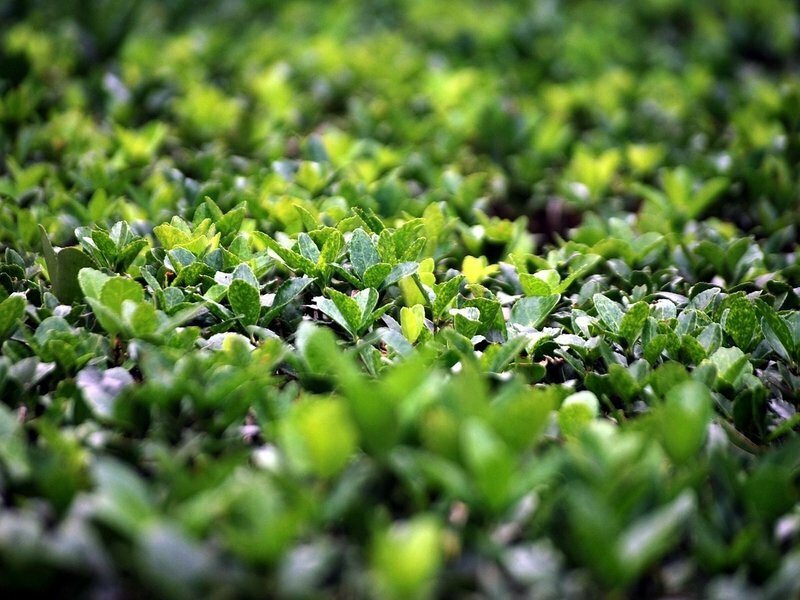 Well before the weather report calls for snow and ice, have your landscape management team perform a property wide safety check. Inspection of sidewalks, driveways, and parking lots throughout the property is a great way to quickly address any issues that could pose problems as ice hits. A check that all handrails are properly secured, and have no damage, will ensure that anyone walking the property in slick conditions is kept safe. Additionally, downspouts and drainage should be looked at after rainfall to confirm that no water is pooling which could potentially turn to ice. A thorough inspection will give you time to make any needed repairs long before bad weather arrives. Failing to quickly address ice buildup could mean a costly and dangerous mistake. Untreated ice creates a slippery layer that is unsafe for tenants, hard to see, and progressively harder to clear as it thickens during sustained cold temperatures. Avoid this risk altogether by having someone at the ready to put down salt and sand on walkways, parking lots, common areas, and steps to make sure that your property stays clear of heavy ice. If you don’t already have it, or could use an upgrade, consider installing lighting to high-traffic locations throughout your commercial property. The better your visitors can see while navigating your property, the easier it will be for them to avoid any potential hazards. We recommend adding enhanced lighting to all main entrances, walkways, stairs, and parking lots to add an additional level of property-wide safety and security. 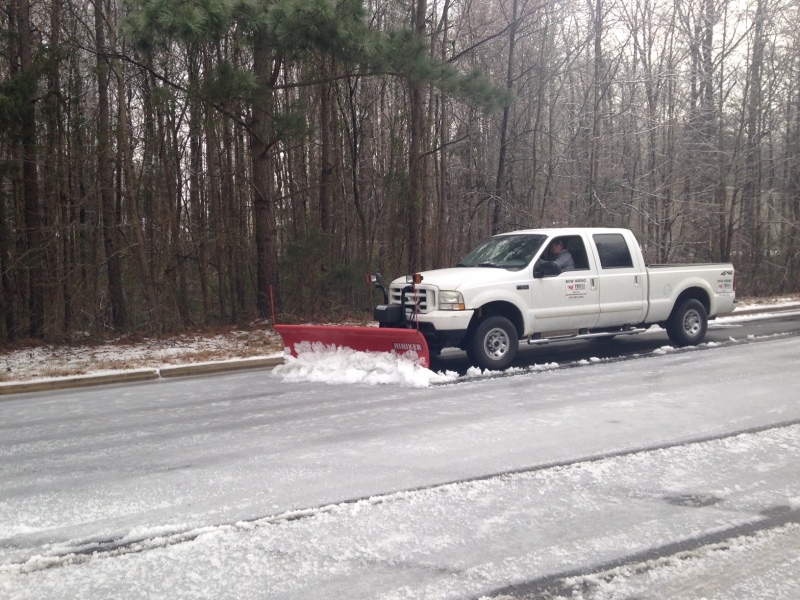 Like dropping salt and sand, the snow removal process is best done by qualified professionals who have the training, insurance, and equipment to complete the job safely. 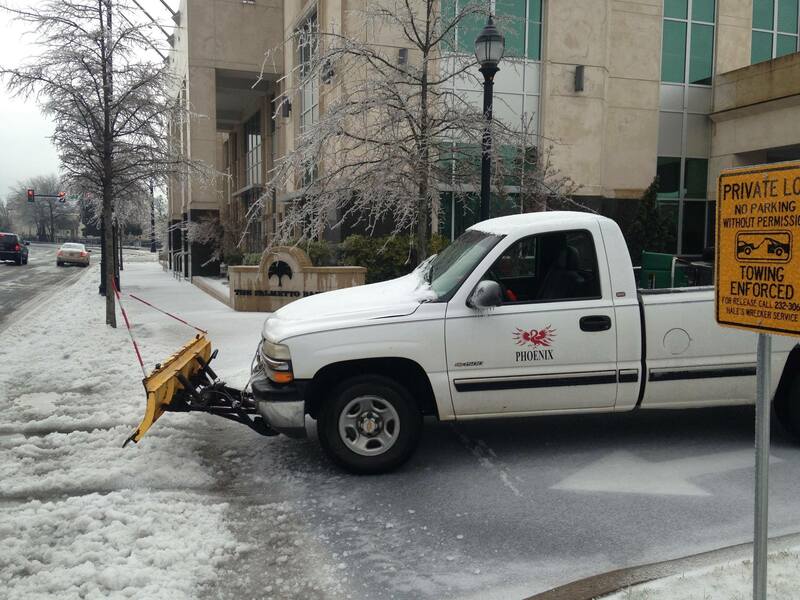 Snow plowing of parking lots and driveways and snow blowing of all walkways are both quick methods that can be contracted in advance through a local service. When it comes to the unpredictable winter weather it is important to be prepared well in advance. Outline a winter weather procedure so that all employees, residents, and visitors are ready when the time comes. A winter weather plan should be customized to your business, but a well-executed plan might include numbers to your maintenance providers and some safety resources. We want to help you prepare for winter weather! 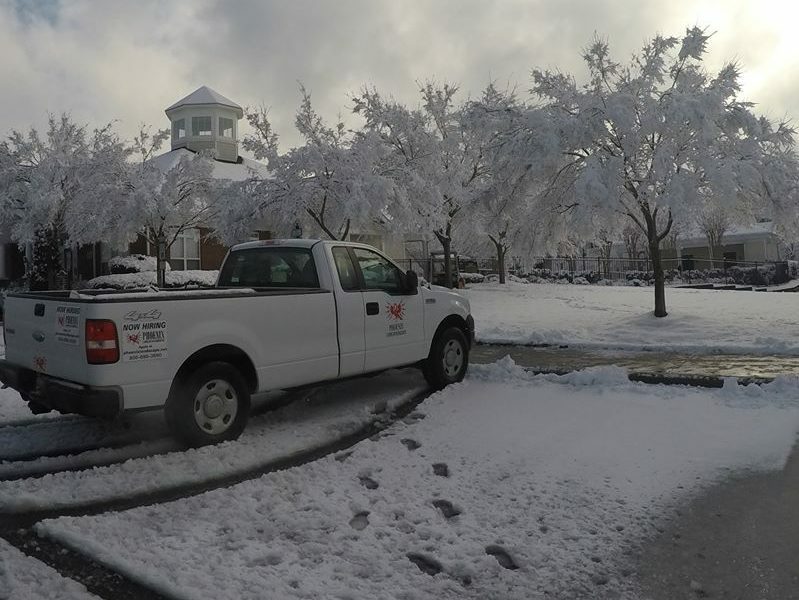 Our experienced team of professionals are trained to conduct pre-season property inspections and our snow and ice removal crews are always at the ready. 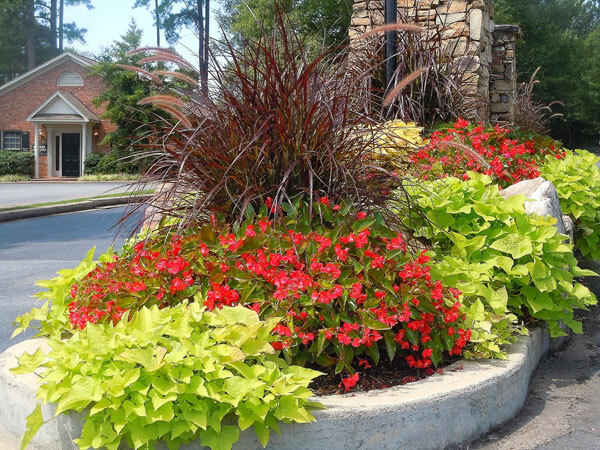 Contact us today at 1-800-698-3590 or sales@phoenixlandscape.net to learn more about keeping your commercial property safe.